The holiday season is the most wonderful time of year, but it's also the most expensive, and when it comes to identity theft and credit fraud, potentially the riskiest season. More than half of consumers report they are stressed about their finances during the holidays, according to a survey by Experian. Forty-three percent of respondents said the extra expense caused them to enjoy the holidays less. And while everyone is shopping, identity thieves are hard at work. Shoulder surfing at the checkout counter, credit card skimming, and online shopping scams all increase the risk of fraud during the holiday season. 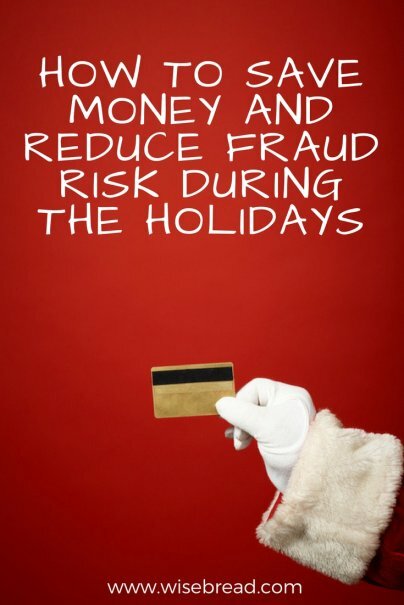 So, how do you save money and protect against identity theft during the holidays? The answer is simple: Be like Santa Claus. Many parents and grandparents like me have gotten to know the jolly old elf very well over the years. In fact, I've come to know him so well that I've begun to take on a more than passing resemblance. There's not much I can do about the increasingly white beard, but the bowl full of jelly needs work! Fortunately, it's not the short, round physical attributes that we should emulate. Instead, we should make full use of Santa's best productivity secret: the list. Who is receiving the gift. What you're buying for each person. Where you are buying each item — online or in a brick and mortar store. How much you will spend per person. A list will help prevent impulse buying, which is key to saving money during the holidays. Thirty-one percent of the people responding to the Experian survey said they have gone into debt because of unexpected holiday spending. Don't be afraid to reevaluate. You might have to check some off the list, or reduce the amount you'll spend — especially if you have a big family where you must give a gift to each person. Instead of giving to everyone, you might trim your list by suggesting a secret Santa gift exchange for the adults or older children. It's fun, saves you money, and has Santa's stamp of approval. Another possibility is buying just one gift or a couple of items that your family might enjoy together. Often, those gifts have a more meaningful impact and save you time and money. While it might be hard, you might also consider crossing a few folks off the gift list and just send them holiday cards or e-cards. A list can also guide decisions about whether to apply for store credit to save additional dollars. Consider applying at a store where you will make multiple purchases, or where you will buy a high-priced item. It is not a good idea to apply at every checkout counter you visit, but taking advantage of new account discounts at a store or two during the holidays can be a great decision, as long as you stick to your budget. You limit exposure of your personal and financial information. Unplanned spending can result in swiping your card or applying for credit in more places and with no record to track. You will have a complete record of your purchases and any new applications for credit. Comparing your billing statements to your list can help you identify incorrect charges or potentially fraudulent activity quickly. You will be able to instantly identify new accounts that aren't yours when the January billing statements arrive. Early recognition of fraud helps stop the crime and speeds recovery if you do become the victim of credit fraud. Santa understands that preparation is the key to holiday gift giving. While we don't have a workshop full of elves, we do have pen and paper (or a smartphone and a notes app). Make a list, check it while you shop, and you'll have a less expensive, happier holiday season that will carry over into the new year even after the January bills arrive. While Christmas elves quickly wrap up gifts, so is the end of the year. Despite the new year approaching, Experian continues to guide you through all your financial paths, including the holiday season. 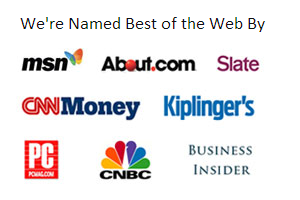 Whether it's credit concerns, protecting your identity, managing your budget, etc. — we are here to bring clarity to your questions.